BFI Film Academy Supporting tomorrows filmmakers today. Are you 16-19? 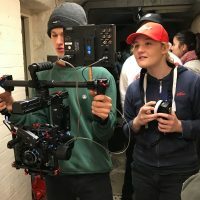 Passionate about film? Want a career in the film industry? Then the BFI Film Academy — UK Network Programme is for you. 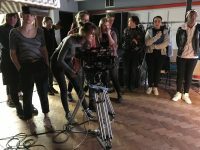 The BFI film Academy runs Thursday evenings and over several weekends at Christchurch Studios – The Bristol Old Vic Theatre School’s own professional film and audio production studio from December to March. Press here to view this years film “Low”. The course culminates in the production of a short drama with animated elements and participants have the chance to gain the NCFE qualification ‘Preparing to Work in the Film Industry’, an industry recognised qualification. Why BOVTS? Why choose us?